While you can take steps to protect your home and valuables from break-ins such as house security systems and being vigilant when it comes to locking doors, a diversion safe can be some of the best safes for home and office. 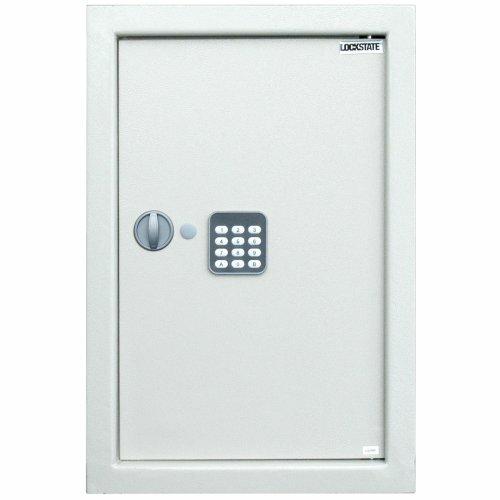 A diversion safe, is basically a way to hide cash and valuables in plain sight. Common everyday household items can become a great place to stash cash. Once thieves get past your barriers and into your home, they will look for cash first, then electronics quickly. The most common place for them to look is dresser drawers and under the bed and if they have time they will start dumping books off shelves to see if you put money in the pages. Bedrooms and home offices will get looked at first when it comes to cash and valuables. Many people will keep their cash in their dresser drawers or many times out in plain view or in a jewelry box ready for use. I finally convinced an old relative of mine to stop storing cash in a tin in her underwear drawer. It was pretty obvious what it was, and she liked to keep cash on hand as she didn’t get to the bank much. Thieves will look in these places first, so if you want to keep larger amounts of cash at home, then you need to protect it. It will not likely be covered by your house insurance because you will have no proof of how much cash you keep on hand. So, if you like to keep cash around the house, then you need to get creative and some of the best home safes are the ones in plain sight. For very little cost you can purchase these online and you will be surprised at just how realistic they look and how they fit in and don’t stand out at all amongst your things at home. I really love the idea of this hiding spot. One of my favourite diversion tactics are the hair brush. This brush is real but the handle is hollowed out and you can place some rolled up paper money in there for rainy days and it is accessible to you. It all depends on what it is you want to store. Paper money can be rolled up and then placed in tiny hiding places like this and will fit in most tiny spots. You can get these online for an affordable price and they will give you some peace of mind. 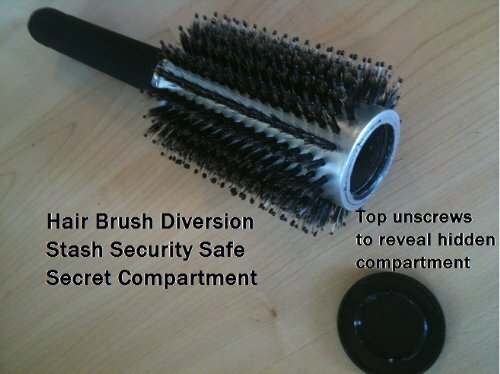 Most thieves are not likely to steal your hair brush. They will want to be in and out of your home quickly and so make sure and use this brush so it has a few hairs in it and it will simply blend in on the counter. mix this top in with your other clothes in your closet and who would know? I like the idea of this hanging shirt. This will hold more valuables, not just cash. It is a good place to keep things you want on hand but don’t use all the time and don’t want out in plain view. Simply fill it with your treasures and then hang it on a hanger with “like tops” so that it doesn’t stand out. The chances of them going through your clothes in the closet are slim. 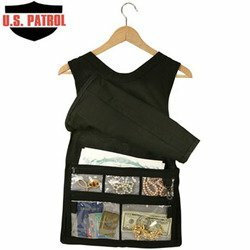 They will look quickly on the floor for portable safes or old purses but not likely to check your fashion style! Try to stay away from obvious portable lock boxes. These are great for protecting your cash and papers in a fire but since they are portable they can simply walk out the door. My mother uses this, and until recently I didn’t know this. So that is one other tip, if you have a family member you can trust, let them know because if you die or become sick, who will know? My friend works at the Salvation Army and after an elderly lady died the family donated most of her things and then all the canned food to the food bank. 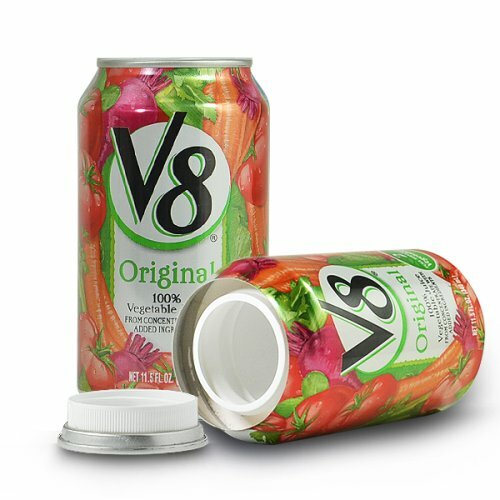 As they were sorting the cans, they came across a juice can that should have been in the freezer, and were about to throw it out. When they realized it could open they found a wad of cash inside. They had no way of contacting the family and simply put it in the donation box. Which was a great deed, but if the family knew of this then they could make the decision about the cash. My elderly mother keeps her keys to her safety deposit box and other important papers in a “fake frozen orange juice can” in the shelf of her freezer. She just recently showed me this. I would not have known otherwise. You can make your own, or you can purchase many name brand soups, juices, cleaners and more online to keep smaller items such as cash in. perfect for lots of valuables. If you have many items, such as jewelry, cash, papers and more, then you may want a more traditional approach. You can get these quality units that fit right into the wall online. You could then hang a picture in front of them or hide them in the closet. This would be a trickier break in for a thief, but would also hold a lot of valuables. This one will sit flush on the wall so there will be some cutting of the wall board to make it fit, but by having it flush in the wall you can then place a large picture or mirror in front of it especially if you don’t need to get into it very often. Otherwise you could do some further construction by adding hinges to the pictures so that you have easier access. This one is digital and only you would know how to get in. The best safes for home and office are ones that you have easy access to, but the thieves do not or will simply overlook. Hiding in plain sight works.